Women on WIC eat a healthier diet, have healthier babies and receive early prenatal care. Infants born to WIC mothers weigh more and have improved growth and development rates. 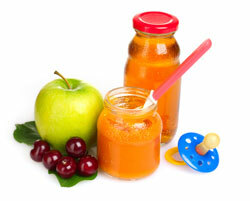 Children on WIC eat foods with more iron and vitamin C, and visit their doctors regularly. Have a household income that meets the current income guidelines. WIC benefits are easily accessed using your WIC Shopper App and paying with your eWIC card. *Individuals who can prove they are certified as fully eligible for Medicaid (the Oregon Health Plan), TANF, SNAP (Food Stamps) or FDPIR are considered automatically income eligible for WIC..
*Many local grocery stores in Jackson County partner with the WIC program and eWIC. Multiple farm stands and local Farmers Markets partner with WIC to provide access to local fruits and vegetables by accepting the Farm Direct Nutrition Program coupons, issued during the months of June, July and August of each year. Sorry, no eWIC options yet for Farm Direct coupons. Looking for healthy recipes? Check out our Healthy Living page. If you have any questions or would like to apply for WIC please call our main office at 541-774-8203. Office hours are 8:00 a.m. to 5:00 p.m. We have an outlying clinic in Ashland at the Briscoe School on the second Tuesday of every month, and in White City at the Rogue Family Center on Mondays. WIC is now available some Fridays at the Rogue River Library.